Earth911.com has published a great slideshow on gardening and using companion plants instead of pesticides and harsh chemicals. 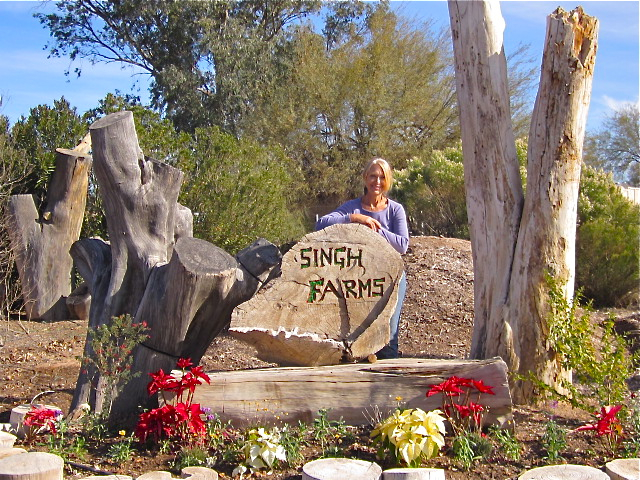 I was fortunate to have visited the featured farm, Singh Farms, in Scottsdale on a recent trip to Phoenix. Singh Farms holds a Saturday Farmers’ Market which I consider the best Farmers’ Market I have had the opportunity to visit. I was amazed at the crops produced, the compost and organic soil they sold and the entire operation as well as the peaceful farm utilizing almost every square foot of land available, all located adjacent to a busy freeway. Follow this link to Earth911.com and Mary Mazonni’s article on the 8 things you should be doing in your garden. Be sure not to miss some great links in the slide-show descriptions and Ken Singh’s comments on one of my favorite topics – GMOs! I plan on implementing some of these tips in my garden this weekend.